Review of Delvin Lee Ratzsch’s The Battle of Beginnings: Why Neither Side Is Winning the Creation-Evolution Debate (Format: Paperback, 248pp., InterVarsity Press, February 1996). I have a dismal hobby to occupy my spare time as a biology professor in some small liberal arts institution connected with the loosely defined fellowship known as “churches of Christ.” I collect and read books and articles written by both sides of the creation-evolution debate. Part of my interest in this unproductive activity is my continual quest to rectify my fundamentalist Christian upbringing with my scientific education as a microbial ecologist and evolutionary behavioral biologist. Another reason is that my provost insists that we, as Christian academics, must see how we can blend faith and learning. Both sides of this acerbic debate do not make my task easy. We hear from Daniel Dennett, Richard Dawkins, and Edward Wilson that evolution makes it intellectually gratifying to be an atheist. We then hear from Henry Morris and Philip Johnson on the opposite side of the debate that to buy into any form of evolution makes one a functional atheist. Testing either hypothesis against my own beliefs automatically invalidates both camps’ positions. Thus, something must be illogical in the claims of both sides. But what is the basis of these non sequiturs? I never began pinning it down until Delvin Lee Ratzsch’s 1996 InterVarsity Press book. From this perspective, I looked forward to a syncretic work. I should never have expected resolution to all my issues, however. After all, the author clearly states in his preface that he wishes to clarify the confusions that exist on both sides of the debate, not “to accept any particular resolution of the issue, but to point out those things that should not convince one.” To this end, he succeeds. His primary purpose is that “both sides come away from [this book] suspecting that many of the popular offhand ‘refutations’ (their own and opponents) don’t work quite as advertised.” Ratzsch shows how both sides make claims that the other is not genuine science. He shines in this discussion since his expertise is in the philosophy of science. Another goal of this book is to point out how neither side completely understands what the other is saying—although it seems neither is really listening. And it seems at least one side is making up the argument as they go along, dependent on what the other has to say in the throes of a debate. Finally, neither side quite understands the philosophy of science and instead relies on their own definition of what science really is. Ratzsch does a solid job of detailing their arguments. Some of their arguments he dismisses with considerable aplomb; others less so as I detected a few questionable presuppositions by Ratzsch … but the dismissals were logical nonetheless. The biggest criticism I can lodge is that the book came with no index. Surprising to me since the references were exceptionally detailed and thorough. Ratzsch concludes with a chapter on theistic evolution. He points out how neither side’s arguments “fail to establish much of anything” in favor of, nor in denying it, as a defensible position. He then leaves the details of scientific claims and the details of theological claims to others to work out. His goal is accomplished by pointing out the “misconstruals, philosophical confusion, logical mis-steps and various other snarls” of either side. He does caution, however, that he may just make both sides mad. In my case, I was merely frustrated. By just pointing out the flaws in both sides’ arguments and not presenting any replacement theory, the book failed my quest for syncretism. But then that was not his goal, was it? For my quest, I must rely on works by Barbour and Haught recently, and good old Al Whitehead nearly half a century ago. 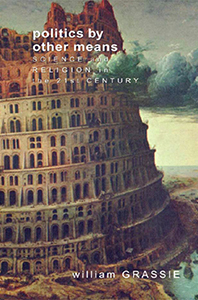 In chapter one, Ratzsch points out how the creation-evolution debate in America has taken on the status of a social institution complete with its own organizations, buzzwords, websites, conspiracy theories, arguments from dire circumstances, and litmus tests for fellowship … a sure sign that both sides have checked their minds at their respective entrances. Ratzsch focuses on the points that there are misunderstandings on both sides—either creationist misunderstandings of Darwinian and neo-Darwinian theory or anti-creationist misunderstandings of creationist beliefs. In chapter two, Ratzsch gives a concise and cogent presentation of the historical climate within which Darwin’s thinking was molded: Enlightenment thinking with reliance on naturalistic explanations and uniformitarianism. He covers the biological concept of species in light of the philosophical dispute of “the great chain of being” versus genuine discontinuities and whether or not classification was an artificial mental construct or natural (e.g., “real”). This second issue of classification being artificial or natural is still debated by pheneticists and evolutionary taxonomists with the latter holding sway today because of the molecular revolution. Ratzsch then points out the sticking point that fossils presented to the church during the Enlightenment. He also clearly explains the intellectual climate of Progressionism that claimed an inner drive toward increasing complexity and improvement that produced Lamarckian views of evolution. One wonders if, despite the irreverent Malthus challenging Adam Smith’s Wealth of Nations model for prosperity, Darwin also came to the conclusion that evolution, like “the individual intending his own gain, [was] led by an invisible hand to promote an end that was no part of his intention.” In fact, in the first edition of The Origin of Species by Means of Natural Selection, he alluded to the concept: “To my mind it accords better with what we know of the laws impressed on matter by the Creator, that the production and extinction of the past and present inhabitants of the world should have been due to secondary causes, like those determining the birth and death of the individual (emphases mine).” If only both sides would read the good naturalist’s own books, they will find additional quotes such as these. Quotes that I will bet neither side wants the other to see! Ratzsch spends the rest of the chapter pointing out the reactions of religious, philosophical and scientific minds to Darwin’s idea. They ranged from the obvious disgruntlement that one narrow view of Genesis was contradicted to the difficult issues of discarding Paley’s natural theological proof of God and the issue of theodicy raised by Tennyson’s phrase, “nature red in tooth and claw.” Finally, Victorian (and modern) senses were disrupted by the idea that humans may not be a unique creation after all. 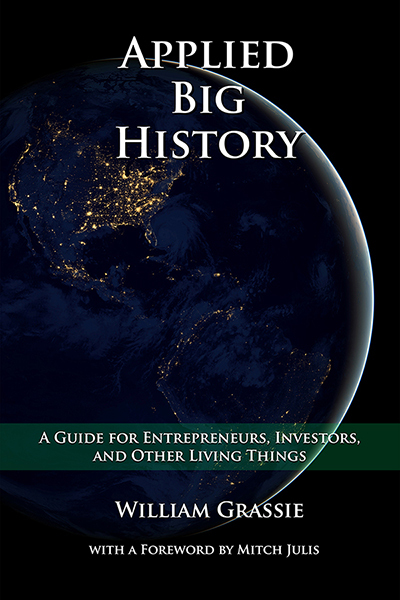 Ratzsch points out that “purpose, direction, progress, and sweet cosmic harmony apparently had just disappeared into a sort of blind mechanistic meat grinder.” He tries to balance it with the myopic optimism of Spencer and Haekel’s Social Darwinism that claims humans have progressed beyond our primitive roots. The scientists were not quite as troubled, needing only genetics to provide a “viable theory of heredity and an explanation of variation.” In other words, genes. Unfortunately, Mendel’s contemporaneous work had to wait more than fifty years to be discovered and provide the basis for the synthetic theory of evolution that dominates scientific thinking today. One wonders if today’s discussions would be more irenic if Mendel and Darwin had met. Perhaps then Darwin could have developed better the idea he stated in 1871 in The Descent of Man: ” … but he who denounces [these ideas] is bound to shew why it is more irreligious to explain the origin of man as a distinct species by descent from some lower form, through the laws of variation and natural selection, than to explain the birth of the individual through laws of ordinary reproduction. The birth both of the species and of the individual are equally parts of that grand sequence of events, which our minds refuse to accept as the result of blind chance.” Even Darwin did not rely on complete stochasticity as do the Dawkinses and Dennetts. The primary creationist misunderstandings of Darwinian thought, according to Ratzsch in chapter four, include the idea that evolution teaches that life has a tendency toward continual upward progress. Based on this misunderstanding, creationists assume that time equals evolution and that evolution is linear and construct arguments against these false assumptions about evolution. Ratzsch points out that creationist arguments based on a) changelessness of some organisms over time, the so-called living fossils, b) missing fossil intermediates, c) missing living intermediates, the so-called missing links, d) no humans emerging from apes today are all misconceptions based on the assumption that evolution teaches linear upward progress and increase complexity and ordering. It does not. It only teaches better adaptation of a particular organism to a particular niche for that time. Of course even Darwin got it wrong here, using such Victorian language as ” … natural selection works solely by … progress towards perfection.” The modern synthesis was supposed to have discarded such hints of Larmarckianism. Instead of linear “positive-arrow” progress, it teaches branching adaptations, some that may reduce the energy needed (and increase entropy) to allow for the adaptation. Ratzsch systematically dismantles each popular creationist argument based on misconceptions of evolution. But before he does so, he rightly scolds evolutionary authors for their often sloppy wording that contributes to misunderstanding. We can excuse Darwin’s sloppy wording, but certainly not today’s writers. At the end of the chapter, Ratzsch provides a beacon of creationist hope. He refers to the small but growing “serious and professionally competent creationists” who may develop a better long-term strategy to determine if “evolutionary theory stands up to scrutiny.” Other than this vague reference he provides no other illumination about what is on the horizon in creationist camps. In chapter six, Ratzsch presents the creationist position by pointing out their reliance on Whitcomb and Morris’ 1961 book, The Genesis Flood. He points out the dichotomy gauntlet that Whitcomb and Morris lay down as “philosophical creationism” versus “philosophical evolutionism.” False dichotomies are the stuff of which futile debates and hardline fundamentalism are made; Ratzsch spares no effort clarifying the picture that such a stance allows. It emphasizes the Genesis account as a historical document rather than a spiritual allegory. It forces all discovery of the universe to this presumed historical account and relies on catastrophism and supernaturalism to explain nature. It claims all appearances of age are just that and the pronouncement of the Creation as good implies that a perfect harmonious world existed before the Fall with only vegetarianism and all creatures including dinosaurs and humans living happily together. Such a fundamentalist position goes further to state that only upon the Fall do death and decay finally enter, weeds and thorns appear, tooth and claw carnivory develop, and the second law of thermodynamics kicks in. The Noachian flood then lays down all the fossils and explains all of geology because until then no erosion occurs and a vapor canopy prevents cosmic rays to explain the great ages of the patriarchs. Chapter seven presents the misconceptions that anti-creationists have about creationists: a) they teach direct creation of all species; b) the original presence of all species and they were created only during the creation week; c) fixity of species; d) no evolution at all. Ratzsch shows us that the creationists will accept what they call microevolution within a “kind.” He then points out the rather confusing way creationists define “kind.” Ultimately the issue that creationists have with evolution is how far the extrapolation can go. They object to the claim that one can go from observable evolution (whether it is the Grants’ studies of Darwin’s finches or fossil lineages of modern day creatures) to explaining the appearance of all life on earth. Ratzsch explains that anti-creationists claiming the creationists do not accept any form of evolution misses the point; the issue is how far the extrapolation goes that creationists dislike. The clinching argument for the anti-creationists will be to prove that the extrapolation occurs from a few forms (or one) to all creatures—especially to humans—is valid. As the additional fossils are found and the molecular evidence piles up, that argument may just be completed in our lifetime. 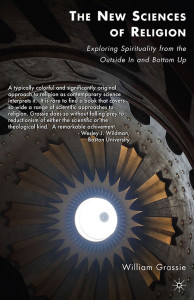 Our theology should be robust enough to handle all the gaps as scientists fill them in with naturalistic explanations. Another criticism of anti-creationist misunderstanding of creationists involves the concept of the creation being fully functioning with the appearance of age (the did-Adam-have-a-navel argument). Again, confusion exists about how far this idea goes in the various creationist camps. But the bottom line, according to Ratzsch, is that the premise is false that an old-appearing creation makes God a liar. This dismissal depends on our misinterpreting the data—not on a planned prevarication by providence. Of all the arguments presented by Ratzsch, I was most intrigued by this one although I felt it begged the question of why our God-imaged minds would work that way. The final points in the chapter were criticisms of how anti-creationists argue against creationists’ claims of the effects of the Fall and the flood on geology and biology. The arguments as they currently construct them have several assumptions about the creationist positions that creationists do not hold and thus do not reflect their position well according to Ratzsch. Nevertheless, the arguments on both sides seem to schizophrenically change assumptions with each counter-argument. Ratzsch ends the chapter with this statement, “Of course, none of this implies that creationism is right, consistent or anything of the sort. … But one cannot show that this is the case independently of doing the actual homework of getting the view straight to begin with.” Of course it would help if the creationist views would stay the same. There was on odd discontinuity between the headings of chapters six and seven and the actual writing in the text. The headings use the term Creationist Theory as contrasted with Darwin’s Theory in chapter four. Ratzsch never equates creationism to the status of a competing theory in his writing as the chapter titles might suggest. In fact he is rather dismissive of creationism in chapter six making one wonder how much InterVarsity Press editing went into the chapter headings. 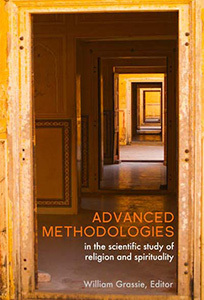 Ratzsch then details the philosophy of science in chapters eight and nine. He first presents, and rejects, the old positivist view of science as a transcendent pursuit of truth about nature freed from human limitations and fallibility. As such, science was elevated away from the subjective and non-empirical fields including philosophy, metaphysics, and theology. He then takes us through a clear and concise summary of Popper’s and Kuhn’s teachings about the philosophy of science to show how the empiricism, positivism, hypothetico-deductionism and falsificationist views of science have their critical flaws. But Ratzsch does not completely buy into Kuhn’s post-empiricism, just enough to remind us that science really is not all that value free … or at least that the ones doing it are not. 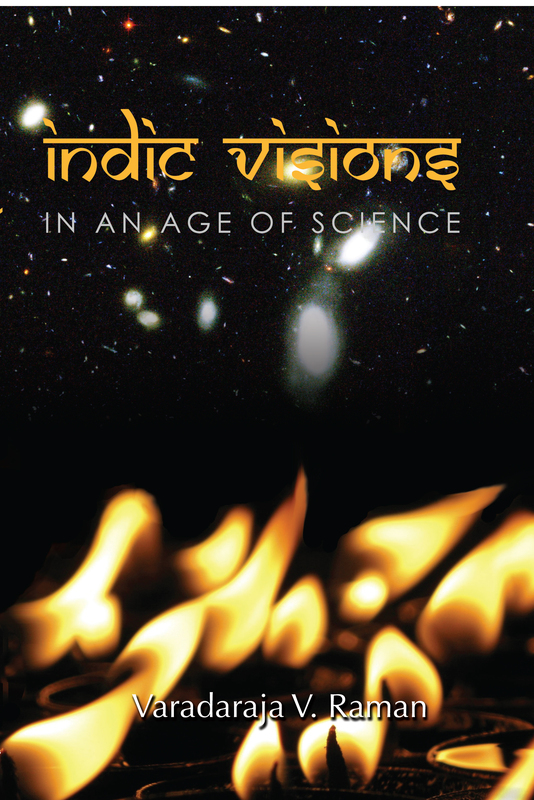 He takes us further into current perspectives of science in chapter nine. Here he details the three components of science: data, theories, and non-empirical shaping principles. It’s this last component that makes science such a human construct complete with human foibles and loaded with human emotion that leads to thinking of Darwin’s ideas as dangerous. However, Ratzsch also points out how human nature has also influenced data collection and theorizing. At first, I wondered if he would give enough credence to the idea of the enterprise of science—the collectivist whole—having the power to eventually cull out the truth of nature despite an individual’s unique shaping principles. Discussing these shaping principles was where Ratzsch shined. Nature is uniform and consistent; the external world is real; we can rely upon our senses to comprehend that “real” world. He then gives historical details about how the philosophical positions concerning the nature of data, theory and shaping principles have caused even our theories of what matter is to change over the past century. In the end, he never reduced science’s discoveries to “what feels good” to the scientist. Instead, he points out that there are checks and limits that allow us to rely on science as an enterprise as it strives toward the truth about nature. He points out that it is the interactions of tenacity and the self-correcting nature of the collective enterprise of science that gives us its explanatory power and helps define nature and our role in it. Chapters ten and eleven could have been tedious since they focused on mistaken understandings by both sides of the nature of science. However, they provided such illumination that I doubt I will ever see either’s use of the violates-what-science-really-is argument as completely compelling in the future. Chapter ten shows the blunders that the creationists make in criticizing evolution are legion: incorrect definitions of science found in dictionaries, misunderstanding what “theory” means, what “proof” entails, what falsifiability really means, the role of “anomalous” facts, the existence of several explanations for data, unobservability in real time of evolutionary processes, the incorrectly perceived tautological nature of evolution (which is an ironic objection since, by definition, tautologies are true), claims that evolution has a priori commitments to naturalism, and Phil Johnson’s, Michael Denton’s and Henry Morris’ incorrect claims that Darwinian thought is plagued with circular reasoning. Ratzsch systematically and methodically dismantles each of the above arguments against Darwinism by showing how they misunderstand the nature of science. In chapter eleven, he repays the favor for the anti-creationists. He points out how the National Academy of Science, National Science Teachers Association, Judge Overton, and the National Center for Science Education have misconceptions about the philosophy of science preferring to keep their heads buried in Popperian and positivism sand. It was difficult for me, as a scientist, to swallow the criticisms of some of my own organizations. But in the end, I had to admit that my fellow scientists were clearly not philosophers or logisticians. The best part of the chapter, however, focused on why these policy makers excluded the supernatural or non-natural from science. Ratzsch certainly did not object to this exclusion. He merely questioned the rationale why many scientists claimed it was necessary. The rationale rested on the philosophical doctrine of empiricism or methodological naturalism, and a historical claim concerning the success of naturalistic explanations in science. The short version of Ratzsch’s criticism of the first point is that the doctrine itself is not empirical and so it is self-defeating. The irony is evident: what empirical data would one offer that something not empirical was irrational? After all, empiricism is blind to that realm. The second point, Ratzsch questions because he thinks the history of science may just show that a large number of great discoveries were done by adhering to the assumption that a rational and orderly Creator did exist. There are plenty of examples where good science was done as a result of assuming theological principles. The highlight of the chapter came for me when Ratzsch articulated a principle I have had for well over 30 years as a scientist and a most-of-the-time theist: science is not really after Truth. It’s just a game. Part of the game is to see how far you can go in explaining something without saying “God did it” because once you do, the game ends. No one can trump the God-card once played and you just are not a gentleman or lady if you stop the card game of science from going on indefinitely. The point, of course, is that relying only on empiricism is not really the way to Truth and in fact science does not always rely only on empiricism. Occasionally it must use non-empirical shaping principles to explain nature and then look for empirical data to test the theories based on those principles. The balance of the chapter tackles the anti-creationist views that creationism is 1) based on Biblical views, 2) motivated by a religious agenda, 3) not tentative like science, 4) and is inherently religious. The assumption is that such characteristics make the creationist ideas unscientific and therefore, religious. The best argument Ratzsch can provide against this claim is that even if an idea has a religious motivation it does not automatically negate it as scientific. The sudden and fully-formed appearance of creatures, Ratzsch claims, is not an inherently religious idea. He ends the chapter on an enigmatic note, ” … all this is not to say that creation science is not in some way philosophically defective … [nor] defective in some other way entirely—empirically or theoretically, or theologically, for instance. But attempts to discredit creation science by employing any of the above philosophical claims appear unsuccessful.” I understood and respected the basis of this arguments, but in the end I was not swayed that his initial premises were correct. I remain convinced that some of the philosophy of science arguments that claim creationism is religion are, in fact, convincing. Evidently I am not alone; quite a few judges in Arkansas and Louisiana also found them compelling. In chapter twelve, Ratzsch spends nearly twice as many pages negating the creationist objections to theistic evolution as he does showing how the evolutionists battle against it. The attack against theistic evolution by creationists is surprisingly vitriolic, complete with accusations that those holding to the idea are “functional atheists.” Technically, theistic evolutionists are also creationists but Ratzsch uses the term creationist to refer to those who believe that certain discontinuities in nature cannot be crossed without a supernatural and direct creative action. The creationists make their accusation against theistic evolution based on a perceived contradiction of certain scriptural tenets (e.g., fundamentalist doctrines). But then the poor theistic evolutionists also get blasted by the evolutionists as well that they are not true scientists. The arguments against theistic evolution by creationists are that it is ” … incoherent, compromising, self-contradictory and vacuous, and once past that point get downright negative.” There is an internal inconsistency charge from the creationist based on two approaches: a two-model approach and the claim that theistic evolution attempts to unify irreconcilables. The first claim of the two-model approach is easily dismissed by Ratzsch as providing a false dichotomy. Ratzsch goes into a very detailed and nuanced dismissal to conclude that, “the facts that mainstream biological evolutionary theory appeals only to natural processes and that evolutionary theory may be an utterly essential part of modern naturalistic and atheistic worldviews [but they] do not by themselves show that there is anything inconsistent or compromising about theistic evolution.” The issue is that, once again, the creationists are incorrectly transferring conclusions from a cosmic philosophical evolutionism to the biological theory of organic evolution. 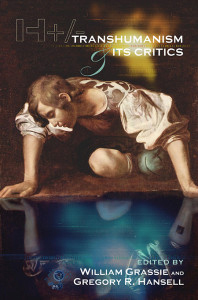 The philosophy claims that the entire cosmos, including ourselves, is a complete accident without a rational beginning, a meaningful present, or a future plan other than a culmination in more chaos; the claim that this philosophy also applies to the scientific theory is an unjustified slide, according to Ratzsch. The second claim of unifying irreconcilables is based on the creationist objection that one cannot have both genuine evolution and genuine guidance therefore making theistic evolution a contradiction in terms. Ratzsch does a masterful job of dissecting this criticism. The summary is that just because God may be seen as intervening in a naturalistic way to trigger the next evolutionary step, it does not make this naturalistic divine intervention less miraculous. The miracle is in why it happened not how. It also does not make the theistic evolutionists “functional atheists” as some creationists have claimed. The next argument that Ratzsch dismisses is the one based on the assumption that there are inconsistencies between evolution and various doctrines taught by scripture. The concept that a creation with death could also be divinely claimed as good is the primary objection. Ratzsch does not do as good a job here as does Haught. But at least he points out that God may pronounce something as good without having the same neurotic necrophobia with which we mortal beings are plagued. Ratzsch then dives into the evolutionist objections to theistic evolution. We should probably note that the objections are once again not lodged by evolutionary biologists but by such philosophical naturalists as Dawkins and Dennett (much the same way as the objections were based in the philosophical arena by the creationists). The objections are based on the premise that to have a deity presupposes complexity existed prior to creation’s complexity. Who then brought about the deity’s complexity? The issue is to track emergence of complexity from simplicity. But the logic does not hold that the need to explain biological complexity requires an explanation of divine complexity anymore than I have to explain my mechanic’s complexity first in order to explain my car’s complexity. Explanations of origins have to begin somewhere. Ratzsch clarifies this by showing how Dawkins’ principle that no explanation is valid unless anything referred to in the explanation is also explained ” … generates a regress that would effectively destroy any possibility of an explanation for anything.” The last objection of evolutionists against theistic evolution is the claim that theistic evolution at some point requires some aspect of divine design. Ratzsch’s argument rests on the idea that reference to design at some point is not necessarily to be considered improper in doing science despite its basis clearly being a philosophical position; it is not even a required logical premise. However, if the argument culminates in agreeing that laws of nature govern matter and also give rise to all of life and even sentience, then one could easily point out that the conclusion of a law maker can be implied philosophically. We do need, however, to admit that this conclusion is not required nor is it “scientific” or even logical; the other non-theist side, however, also needs to realize that such an admission does not make the conclusion of the existence of a law giver any less compelling or reasonable. Chapter twelve could have ended on a high note were it not for the last paragraph which left me scratching my head. Ratzsch concluded that creationists lodge a final complaint against theistic evolutionists: that it cannot be reconciled with the details taught by the early chapters of Genesis. He points out that this objection rests on the presuppositions that a faithful and responsible reading of Genesis requires literalism and that, only understood in this way, it teaches precisely what creationists think it does. He demurs on this issue and ends the chapter with, “I do not think that either presupposition is inherently improper or incoherent.” I could not tell if he thought that the creationists were proper and coherent to have this idea or if they were just not inherently incoherent … but incoherent nonetheless. Chapter thirteen concludes with a quick appeal to epistemology, as it should. Ratzsch quickly points out the fallacy of thinking that we have absolute truth either in our science or in our religion—especially when even one of our apostles points out his own agnosticism as he appeals to an afterlife to finally see through the glass clearly when we are forced here on earth to gaze through it darkly. This book clarified the arguments that both sides present against the other. More significantly, it emphasized the importance of realizing that the scientific theory of evolution is not the same thing as Evolutionary Philosophy. Reductionism to the point that one can pronounce, “the cosmos is all there is or ever will be,” may certainly be important when doing science. But it fails when trying to determine why there is anything at all, or where the laws of nature came from, or why the cosmos seem so strange. My hope is that one day I can eventually give up this dismal hobby and tell my provost that the problem is solved … in my own mind at least. But I bet I’ll have to continue being unproductive with such discussions trying to integrate faith and learning rather than solving problems of human and environmental suffering and advancing our understanding of the Creation. But then what else would a Christian academic be doing anyway?